The AMI 2019 Compounding World Expo will take place at the Huntington Convention Center in downtown Cleveland, Ohio on May 8th – 9th. It will be held in conjunction with the Plastics recycling World Expo and Plastics Extrusion World Expo. The three exhibitions will feature five focused conference theaters with a program of technical presentations, seminars and industry debates. The conferences are free to attend and are expected to draw a large attendance. There will be over 230 companies exhibiting raw materials, polymer additives, compounding machinery and equipment, as well as a wide range of related services. Visitors attending will be representing independent plastic compounders, polymer producers, toll compounders, masterbatch producers, plastic recyclers, compound formulators, polymer R&D departments and institutions as well as specifiers, processors and users of plastic compounds. 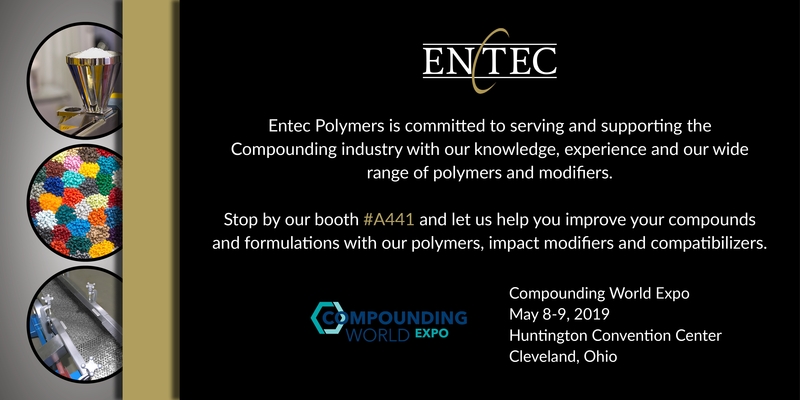 We hope that you will stop by our booth #A441 and let us help you with your polymer, impact modifier and compatibilizer formulation needs.